“I do not even remember the taste of chocolate while it is made with what I plant! The important thing for me is to drain my pods and safeguard the sector”. More than 60% of the farmers in the Ambanja region are cocoa farmers, and having a cocoa field is a source of prestige for them. Other times other habits: with the necessity of obtaining the best possible return of each foot, the peasants no longer content themselves with waiting for the picking. Here one clears, one bines, one fine, one rejuvenates the fields. A young plant takes about 5 years to produce its first pods, and between 6 and 8 years to reach its cruise production. All the family is put to contribution to break the harvested pods and to extract the beans. Storage and processing require special means. In Ambalavelona, a small village 5 km north of Ambanja, the farmer cooperative is equipped with fermentation tanks. During this step, the product is stored at a temperature of 95°F guaranteeing its quality. Drying by cons is done in the open without any other intervention, which explains the “organic” character so appreciated in the Ambanja cocoa. 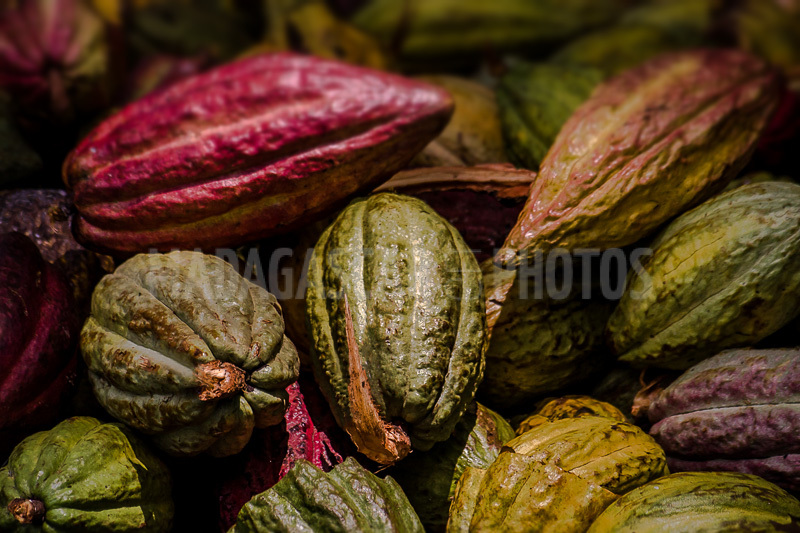 Malagasy cocoa that comes mainly from this region and Ambilobe is ranked among the best in the world. He was awarded the “Cocoa Fun” label by the London-based International Cocoa Organization, even though the country is not a member. This distinction is awarded after a series of tests designed to determine the level of acidity of the product, and others of a gustatory nature entrusted to professionals from all over the world. According to Philippe Fontaine, Chairman of the Maillot Group, the exceptional acidity of Malagasy cocoa is due to the fermentation process of the beans, but also and especially to the peculiarities of the soil. Malagasy production is relatively low since it is between 4 and 5000 tonnes. But the label “Cocoa Fun” allows to sell the product at a price twice as expensive as the international course. And the Big Island, whose main competitors are countries like Ecuador, has made a choice between quantity and quality. Without regret, quite the contrary.